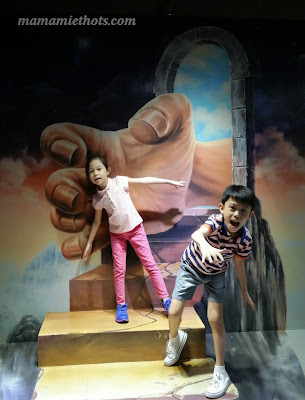 Thanks to Omy.sg invitation, we went to the newly opened biggest 3D illusionary museum in Singapore located on the 3rd level of Suntec City. 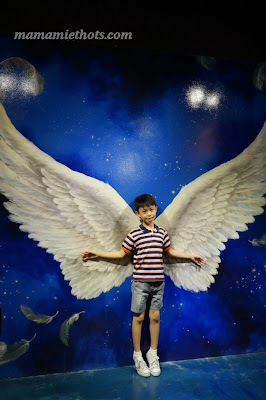 It originated from Korea and Singapore is the 15th branch with the rest of the branches located in South Korea, China, Thailand, Vietnam and Turkey. 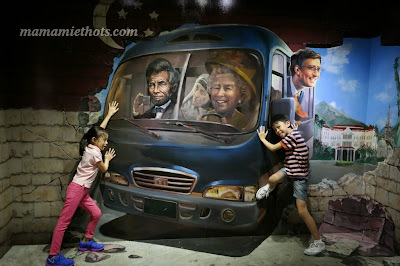 All their artworks are hand-painted and handcrafted by their own team of artists from South Korea. 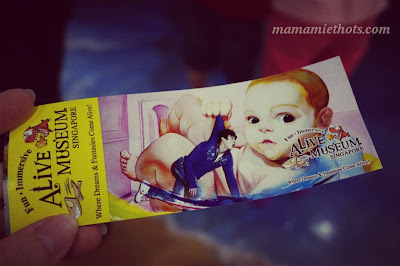 The children were more excited than me and quickly dashed to the entrance the moment I passed them the tickets. 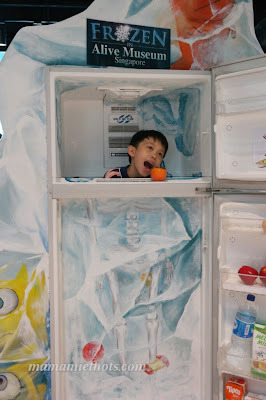 Frozen body in the fridge! Oh dear! 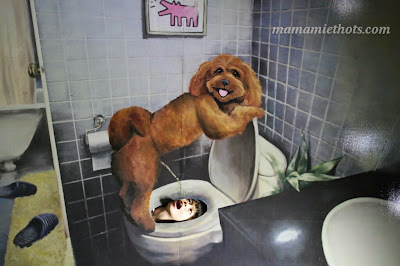 Why did the dog pee into my mouth? Can someone come and help to move the bus away? 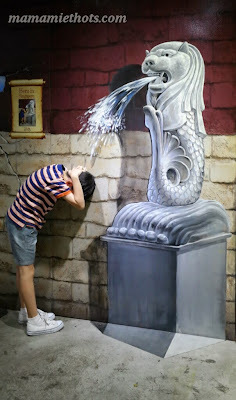 Why did the merlion puke the water on my head? 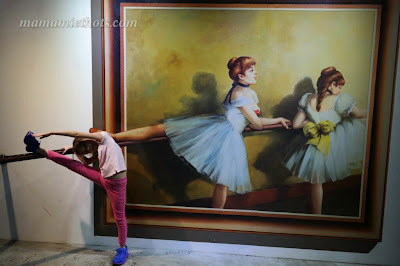 YQ putting her ballerina's flexibility skill to test! 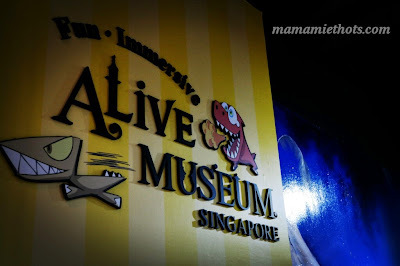 Disclaimer: I received a pair of complimentary tickets from Omy.sg to visit Alive Museum Singapore. No monetary compensation was received, all opinions are my own.